October 15th is Get Smart About Credit Day, and we supported the American Bankers Association’s campaign to help teens understand the importance of using credit wisely with a #CreditChat about Teens and Credit. The panel included: the American Bankers Association, Laura Levine of the Jump$tart Coalition, Cary Carbonaro– Personal Finance Expert, CFP®, MBA, MD United Capital CFP Board Ambassador and author of The Money Queen’s Guide, FamZoo– a virtual family bank that helps busy parents to teach their kids good money habits with minimal hassle through hands-on practice, Rod Griffin– Director of Public Education at Experian, and Mike Delgado– Social Media Community Manager at Experian. Watch this discussion on Blab. 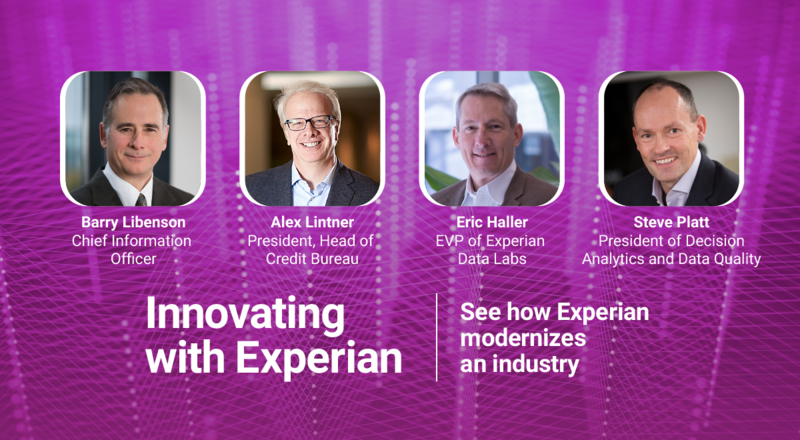 If you have ideas for future topics and guests, please tweet @Teena_LaRo or email Christina.Roman@experian.com. Q1: Why should teens care about their credit scores? 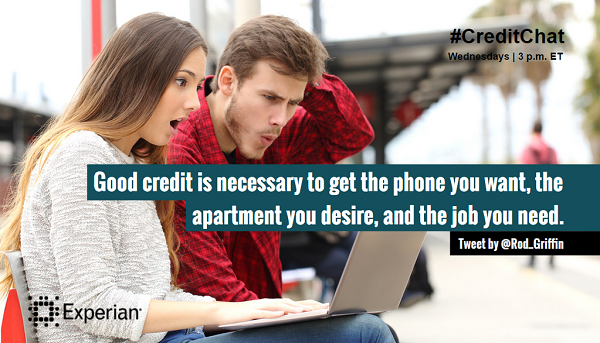 Q2: How can teens establish credit? 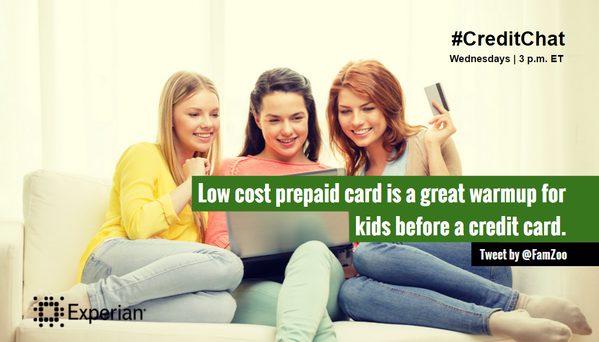 Q3: What are ways that parents can help their teens build a great credit history? Q4: What types of credit lines have an impact on credit scores? Q5: What’s in a credit report? 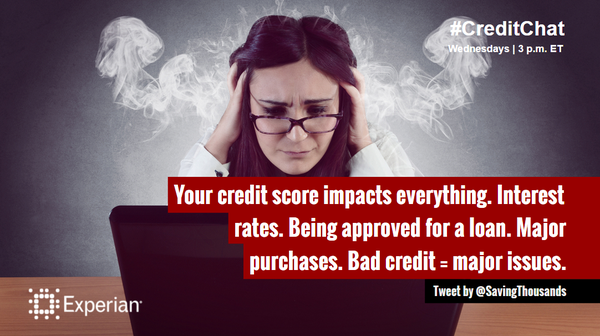 Q6: What should teens know about how a credit report affects their lives? Q7: What should teens know about how credit scores are calculated? 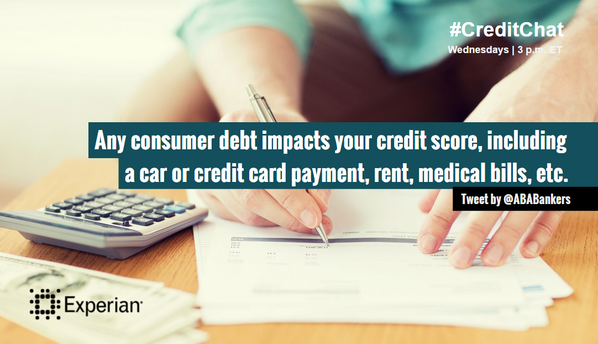 Q8: What behaviors negatively impact credit? 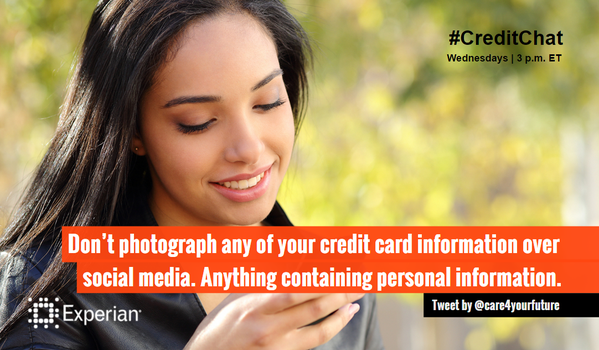 Q9: What financial information should teens beware of sharing on social media? Q10: What final tips do you have for teens interested in building their credit?